The Mind's Eye: Natural Places in Paper is a public art project that involved nearly 200 Rhode Island seniors and CareLink staff members in the creation of handmade paper books during the summer of 2017. 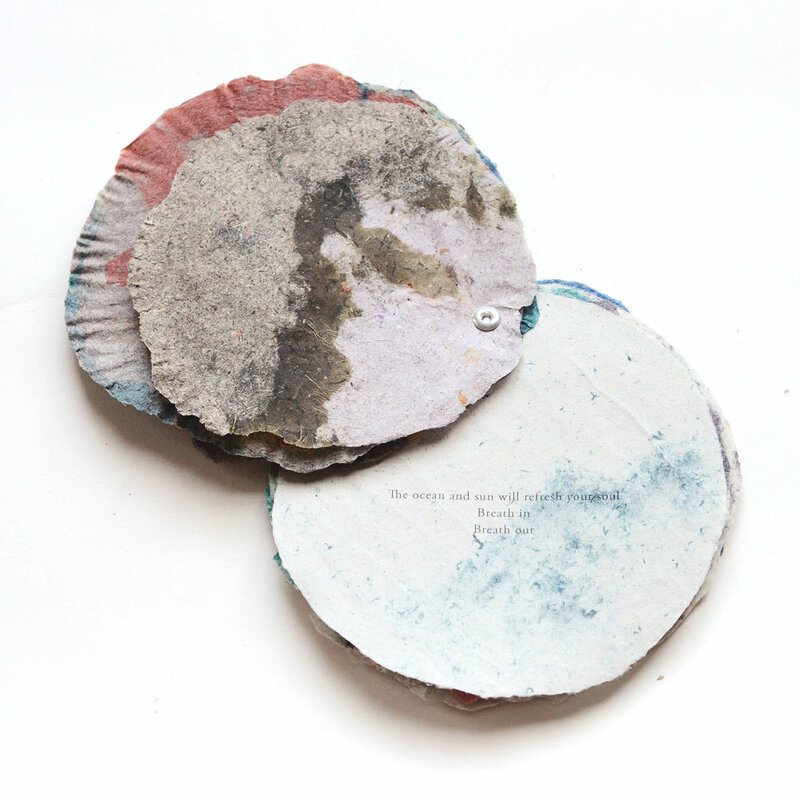 Inspired by natural places, this project used paper pulp made from local plants to create circular book pages—25 books that are 20 pages long. Residents and staff were asked to think of outdoor places they have been, and something they enjoyed about their natural place, and create ‘paper pulp paintings’ in response. Their memory was as simple as the ocean water surface, trees in full bloom, or the perfect blue sky. I also collected their writings recollecting or sharing their natural place. Pulp paintings are artworks that are made entirely of paper, by applying different colored pulps. Once the paper was dry, I printed their writings on select pages, and hand-bound the papers into the books. 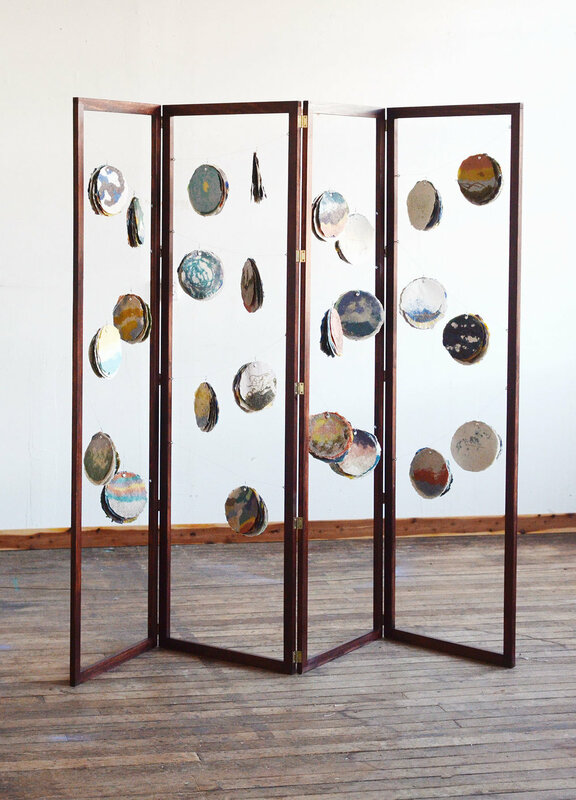 The books are suspended, and displayed in a modular, portable format, allowing the artwork to be displayed in many locations and spaces. This mobile public artwork is also interactive—viewers are invited to lift the pages to read the writings and view the pulp paintings.